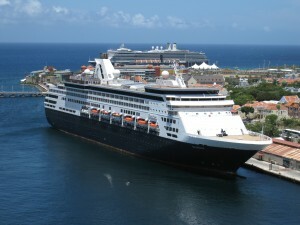 PEMBROKE PINES - A preview is now live for the cruise vacations available during the FCCA Online Auction. With online bidding taking place from October 5 -16, the event offers participants a chance to win a cruise for a fraction of its retail value while supporting a worthy cause. Ranging from three to 10 nights in staterooms to a Haven Penthouse Suite aboardNorwegian Escape, FCCA Member Lines graciously donated cruise vacations to assist this event and the FCCA Foundation-a non-profit, charitable organization that aids humanitarian causes in the Caribbean and Latin America. With all proceeds benefiting the FCCA Foundation, the online auction lets bidders enjoy cruising, saving and knowing they helped efforts like disaster relief; donations to schools, hospitals and orphanages; and bringing smiles to thousands of underprivileged children during the Holiday Gift Project. "We are pleased to assist the good work that the FCCA Foundation has been doing for the past 22 years," told Micky Arison, chairman of Carnival Corporation & plc and the FCCA. "It's important to take care of people in need, and it's gratifying to see the Foundation continue to grow and partner with charities who have children counting on them, as well as assisting destinations in times of need." To participate, please visit: http://www.f-cca.com/auction. The FCCA Foundation provides a tangible mechanism for the cruise industry to fund a range of humanitarian causes in Caribbean and Latin American destinations. In its 22 years, the Foundation has benefited thousands of citizens by providing funding and countless hours to causes and charities throughout the regions. In addition to assisting deserving institutions like charities and hospitals and aiding during crises like natural disasters, the Foundation executes annual projects, including the Holiday Gift Project, which delivers thousands of presents and smiles to underprivileged children during the holiday season, and poster and essay competitions to award students' efforts and creativity.